What was the worldwide web like 30 years ago? 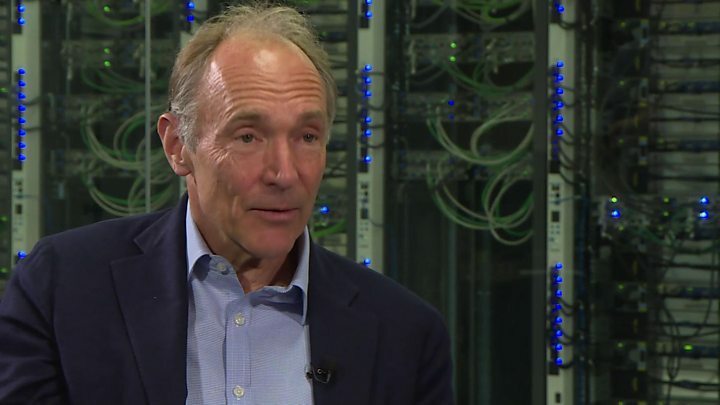 Thirty years ago today, Sir Tim Berners-Lee submitted his proposal for the world wide web. To celebrate its anniversary, tech firms, early web users and retired politicians are flooding #Web30 on Twitter with nostalgic posts remembering their first interactions with the world wide web. Here are a few of the people heralding what was once called the information super highway. The High Performance Computing Act was passed by US Congress in 1991, which helped develop accessible web use. Former US vice-president Al Gore was one of the earliest supporters of the act. A few years later, in 1994, former US president Bill Clinton and then prime minister of Sweden, Carl Bildt, were the first global leaders to exchange emails over the world wide web. By 2000 - the first year the US-based Pew Research Center tracked internet usage - half of the population was already online. It is impossible to forget the crackling sound of the dial-up tone in those early days. The screeching and ringing have come to represent the earliest web portals and is even up on Google's homepage to celebrate the 30th anniversary. What's the difference between the world wide web and the internet? The earliest computing technology was conceptualised in the mid-19th century by British mathematician Charles Babbage. The first computer wasn't built, however, until 1939. Soon after, the first computer company was founded. In the 1960s, two MIT Graduate students theorised and then created a technology that was able to transfer small packets of information from one computer to another. This interconnectivity, first called the Arpanet, marked the first traces of the internet. Companies like Amazon and Craigslist and early web designers have taken to social media to share their first ever website. The simple designs were limited to basic HTML code that could provide simple on-screen text and hyperlinks to other websites. "Back then, we were still thinking of books and newspapers. We didn't think there were any rules for accessibility or design," says Will Francis, a technology and social media expert based out of London. Aside from design limitations, Mr Francis explained that getting your website discovered was one of the main challenges. In 2000 when Mr Francis made his first site, not many people were doing the work that he was, he says. 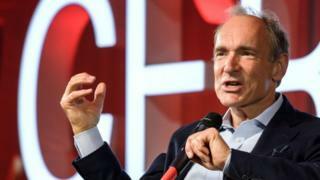 "It felt like a new frontier and that was exciting," Mr Francis told the BBC. "But, we've gained so much since and I certainly wouldn't want to roll the clock back."